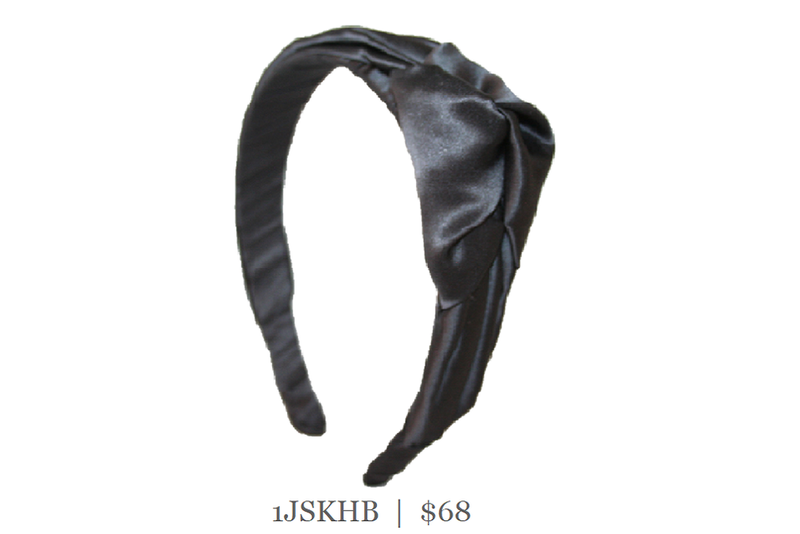 1" silk headband with a beautiful side knot accent to give "height". The silk is wrapped on a flexible French headband for ultimate comfort. An elegant headband for everyday. Shown here in charcoal silk.